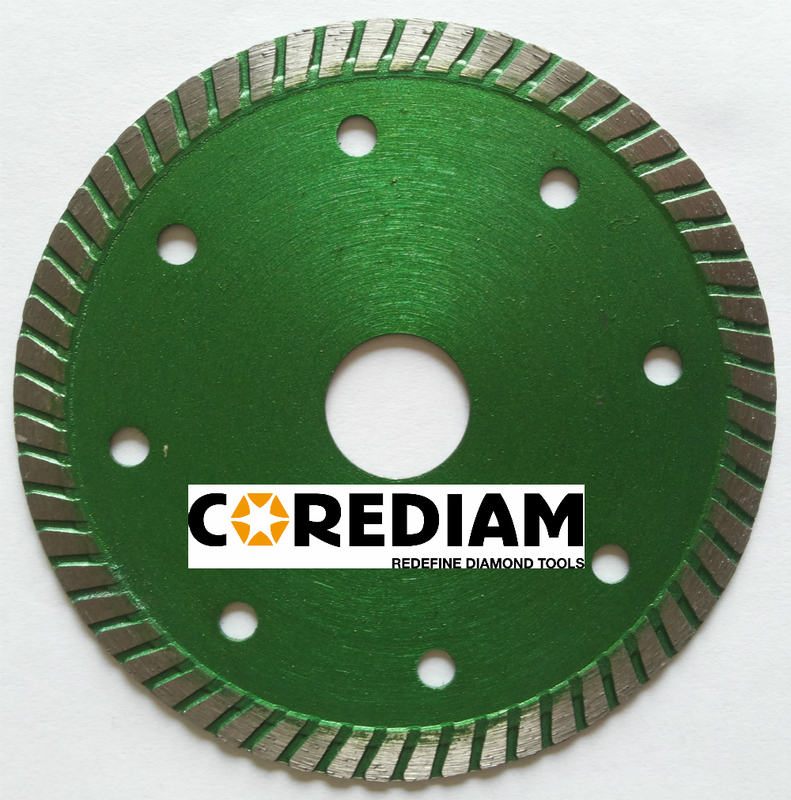 This Tile Blade is manufactured by fully hot-pressing, which help to guarantee a longer wear. Soft bond provides thin blade extremely fast cutting speed. The Sinter Hot-pressed Blade especially designed for cutting porcelain tile,tile ceramic tiles.... Super thin tile blade have very good cutting performance and also make sure it has a clear edge. 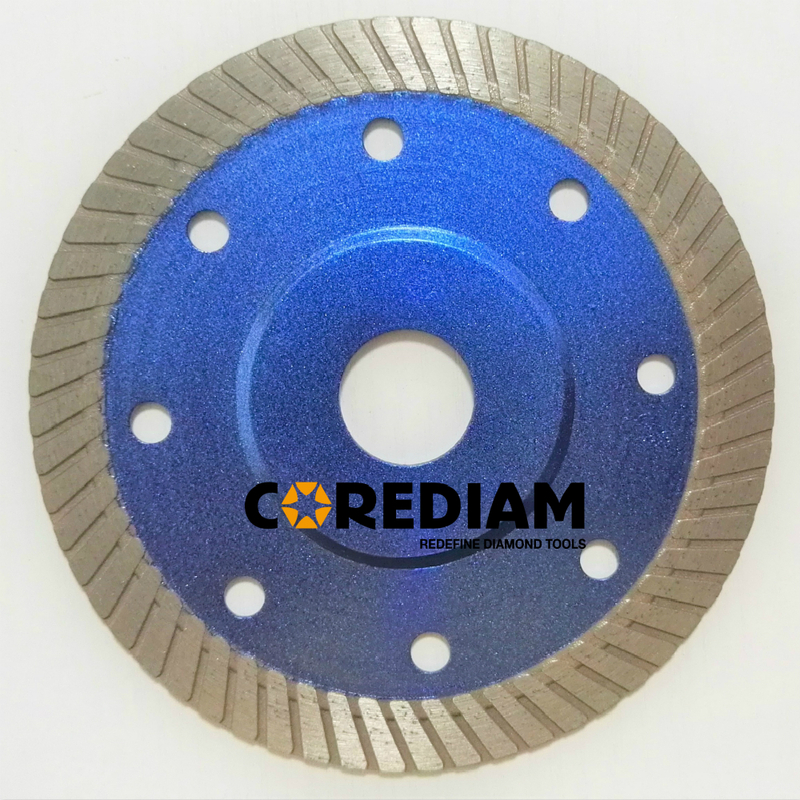 Common sizes for super thin Turbo Fast Cutting blade are 105mm, 110mm, 115mm, 125mm. In order to ensure you can install different angle grinder,we offer 20mm and 22.23mm arbor hole for the porcelain blade. The other Tile blade for your reference. Cutting materials: tile, ceramic, porcelain, ceramic tile. Install Equipment:angle grinders, hand-held saw. 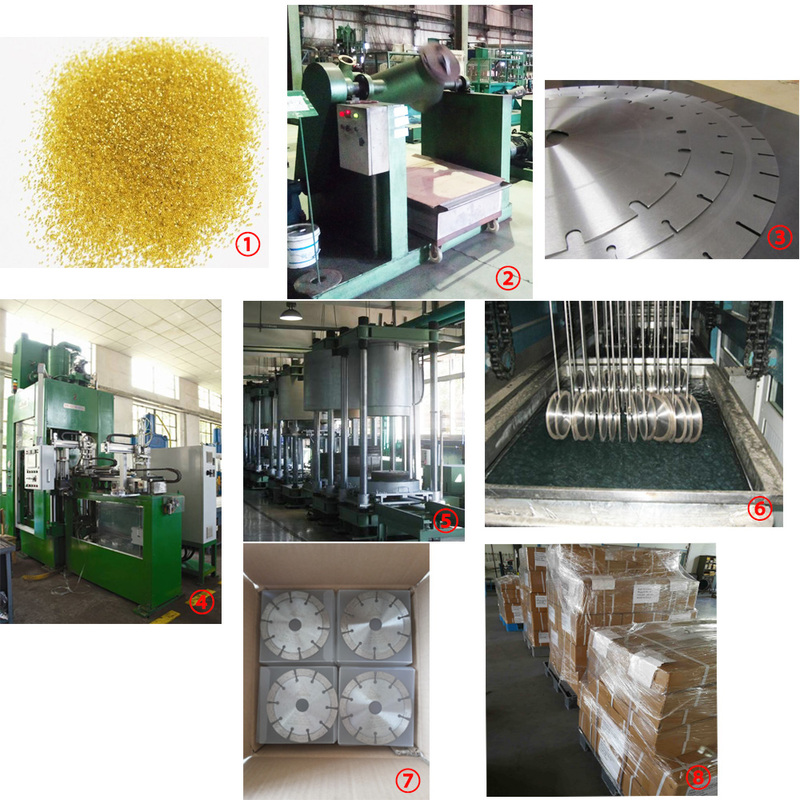 We have full&mature sintering production line, capacity of sinter blades can reach 5000 pieces per month. Each blade is package into a plastic blister, 100 pieces into one carton. 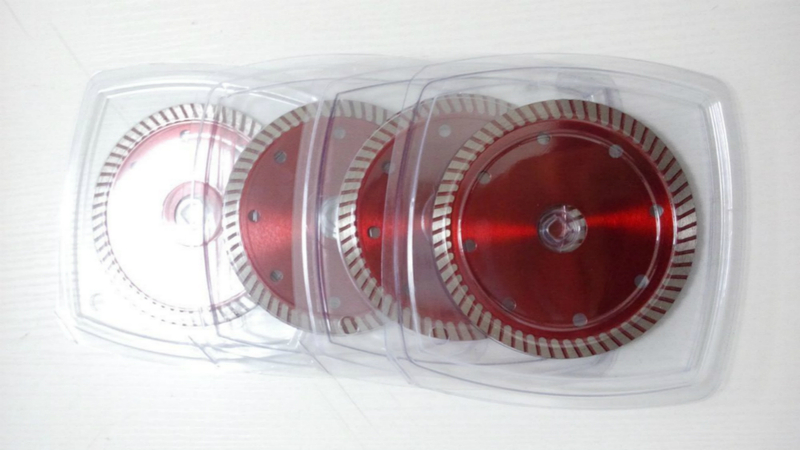 Delivery time of super thin tile blade is 2 weeks for batch order. We can ship the goods as your request: By express, by air, by sea. We can help to make full solution of custom package designs. Looking for ideal Sinter Hot-pressed Super Thin Tile Blades Manufacturer & supplier ? We have a wide selection at great prices to help you get creative. All the Super Thin Turbo Porcelain Blade are quality guaranteed. We are China Origin Factory of Continuous Super Thin Porcelain Cutting Blade. If you have any question, please feel free to contact us.